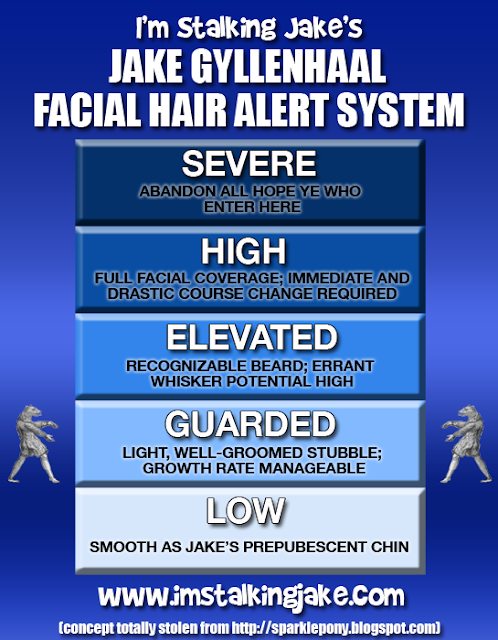 Jake Even More Famous Than We Thought! Holy crap, Jake is on the front page of Yahoo! right now. All this Prince of Persia promotion is really kicking in! He's now almost as famous as a 17-year old Canadian soccer player with a heart condition who, understandably, gets top billing this morning. 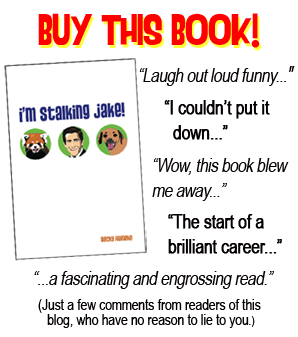 Jake comes in second, just before a list of ways to avoid being ripped off by your prepackaged deli meat. We're so proud of you, Jake! Look at Yahoo! stealing the stories from this site and making it look like they are breaking the story. So wrong! I know, right?! I get no credit for my brilliant investigative reporting. Hey, this agent found that video!! Yahoo should be paying ME for this particular story! 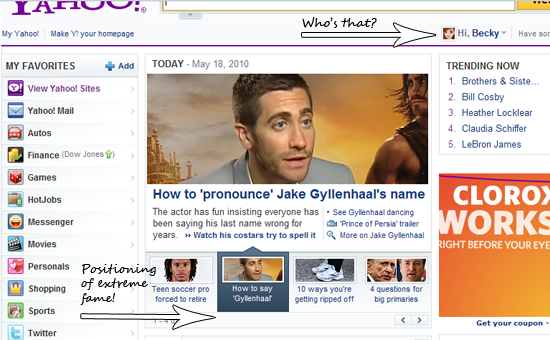 But CONGRATS Jake, front page of Yahoo.. maybe now you are even bigger than Tom Cruise?! He's definitely bigger than Tom Cruise. LOL Look at them next to each other in that pic. Tom looks like a small woodland creature. You know I'm too lazy to look them up, but aren't there other famous people with long difficult-to-pronounce surnames? 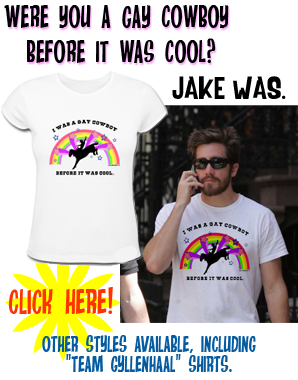 Why does Jake keep getting picked on? Tisn't fair.